Andrew Williamson is a little known Patriot leader who took charge in the first battle of the American Revolution that took place in the South. Although the Battle of Fort Williamson was a minor engagement, it set Andrew on a path to help the Americans achieve victory. Unfortunately, Williamson’s dedication to the Patriot Cause led him through a fairly strange series of events. Andrew Williamson was a South Carolina frontiersman who specialized in trading hogs and cattle. His business succeeded to the point where he was able to purchase a large plantation, an uncommon privilege on the western end of the colony. Despite being illiterate, Williamson became one of the frontier’s most influential men. He twice served in the Colonial Assembly, as well as receiving a commission as a Major in the local militia. As hostilities began with Great Britain, Williamson joined the Patriot Cause. This left him as an outcast among his mostly Loyalist community. Andrew decided the best course of action was to fortify his plantation, White Hall, which he would soon use as a headquarters. Andrew led men in what many consider the Southern Department’s first battle of the American Revolution: The Battle of Williamson’s Fort. After his Loyalist neighbors collected the towns gunpowder, Williamson led the militia against them to retrieve it. Fortunately, there were very few casualties and the two sides were able to cool down the hostilities. Andrew Williamson spent a large chunk of the Revolutionary War fighting with the Cherokee Indians. He powered through their territory, eventually destroying at least half of their villages. Though it may seem unthinkable today, Williamson recommended enslaving the Cherokee. This would have the goals of slowing down the fighting and boosting the economy. While it had some support, the idea was rejected by the South Carolina Assembly. Williamson did participate in an invasion of Florida, but for the most part spent the duration of the war fighting in South Carolina. After the fall of Charleston, South Carolina had been effectively subdued. The British offered pardons to any resident who would abandon the Patriot Cause and live peacefully under their control. Williamson was one of these men. Over the next three years, he was captured by the Continental Army twice: once being released and the other gaining freedom by a Redcoat attack. The Patriots accused him of being a traitor and a Loyalist. After the war ended, he had his land confiscated by the State. Then something strange happened. Major General Nathaniel Greene, one of the most important military leaders of the war, asked to testify in front of the South Carolina Senate. Greene’s speech supported the actions of Andrew Williamson. Greene had instructed Andrew to take the British offer in the first place. Williamson had been acting as a double agent, secretly feeding the Continental Army intelligence. Although he did receive more respect from his peers, Andrew never fully dropped the eye of suspicion which had surrounded him. Williamson did, however, restore his credibility as a Patriot…one to whom the Cause was greater than personal accolades. Do you want to read about other Secret Agents of the American Revolution? Want to learn more about the Southern Department of the Revolutionary War? Although Williamson doesn’t have a biography, this story’s other hero, Nathaniel Greene, does. 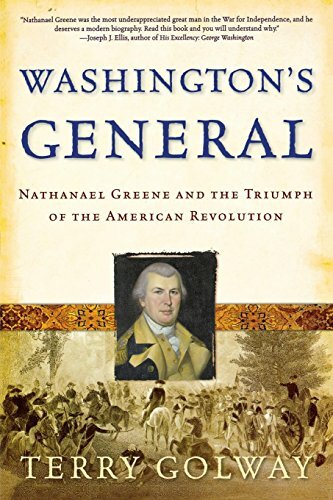 ‘Washington’s General’ is a fantastic book about one of the Revolution’s most underrated Generals. Pick up a copy through the Amazon affiliate link below (you’ll support this site, but don’t worry, Amazon pays me while your price stays the same).